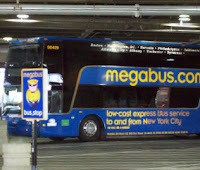 For over a year, I have discussed tips on getting the most out of Megabus travel. Seat belt usage has been an unintentional oversight. The recent Megabus crash underscores my need to wear seat belts when the vehicle is in motion. I'm more than a little frustrated with myself for not being more aware of the need to wear them until now. Here's the thing about my Megabus travels. When I'm on vacation, then I'm focused on leaving town. I cheerfully check in with the driver, stow the bag under the bus and hop on without a second thought. 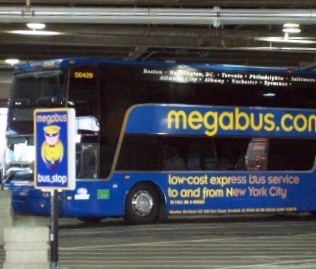 Megabus tickets are cheap and riding is easy. In a few hours, I will be relaxing with friends and family. Thoughts of regular vehicle safety isn't on the front of my mind and this needs to change. Think of it in terms of the family road trip. We take the van to the garage to have it inspected. The oil changed, tires are checked and fluid levels are filled. It's part of the routine that we go through before hitting the open road with the family. None of us would dream of using a minivan for a long road trip without using seat belts. A Megabus shouldn't be any different. Sure, it's bigger than a minivan and has the advantage of an on-board bathroom but it is still a moving vehicle on road trip. I'm guilty of ignoring seat belts and I'll admit it. The straps are uncomfortable, get in the way and are restrictive. When used, they tend to do just exactly what they are designed to do. They hold us in our seats to keep us from moving around more than necessary. The Megabus crash is a tragic reminder of the need for me to buckle up. Although horrifically tragic and unforeseen the fact is that crashes happen. We can't prevent all accidents from occurring and it is never in a rider's control to prevent an accident. All we can do is protect ourselves the best that we can in case the worst happens. In my case, it now means using seat belts on a Megabus just as I do in any other vehicle. That's probably what I should have been doing all the time.